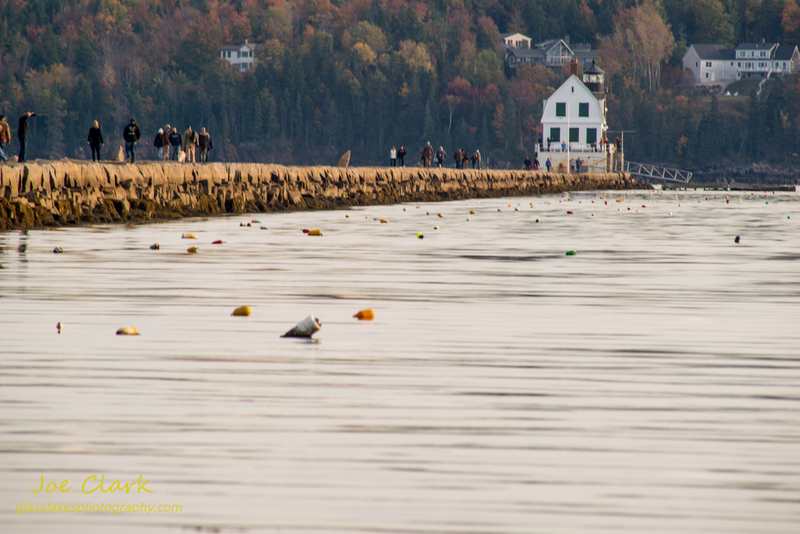 There is a nearly mile long breakwall in Rockland, Maine. Pictured here the length of the wall is compressed with a 500mm lens. Note the appearance of the water and buoys in the harbor, along with the apparent compression of the lighthouse against the homes in the background. This image was taken about an hour and a half before low tide, we had hoped to see some seals on the rocks but none were present.